I think we can all agree that snail mail peaks during the holiday season. I giddily check my mailbox daily awaiting holiday cards from friends and family, and I love pulling out the envelopes one at a time savoring each detail. 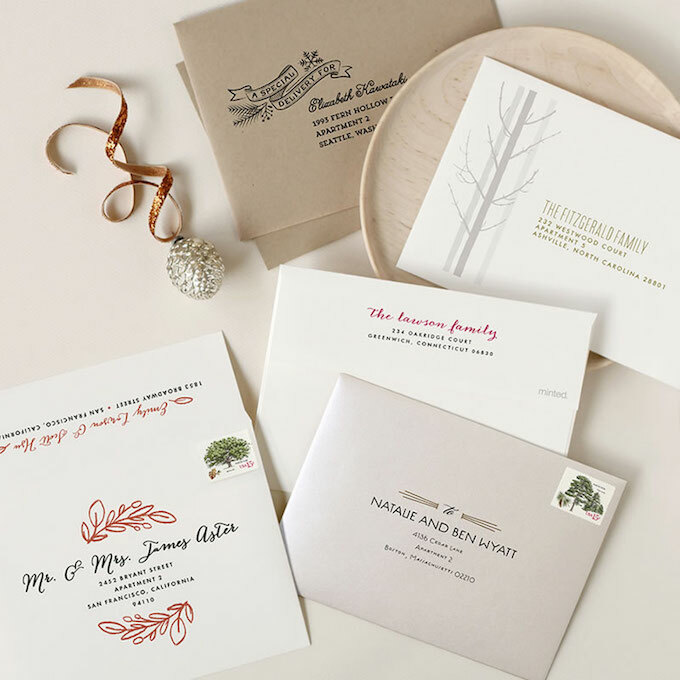 The details are what make holiday cards so special. If you're anything like me, you've painstakingly poured over your holiday cards making sure every little thing is perfect. 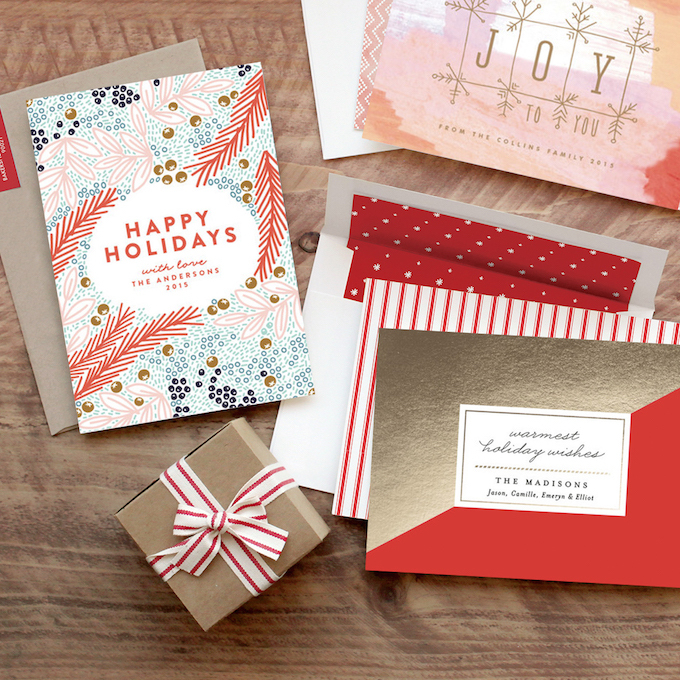 For the past two years, my holiday card choices have been made even easier with Minted. Minted's user-friendly design marketplace makes choosing a card an incredible experience. 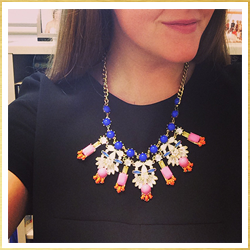 I often play with several designs before choosing one, and the site makes it easy to make designs completely my own. One of my favorite parts of Minted's holiday card collections is their foil designs (like this one). I am a sucker for anything that sparkles, so the shimmer of the foil designs makes me swoon. If foil isn't your thing, take a peek at Minted's other collections; they have everything including letter press which makes for a luxe card sure to impress. And to further show just how fabulous Minted is, all holiday cards are available with matching envelopes and recipient addressing this year. That means no stressing about messing up envelopes. All you need to do is stuff your cards, stick a stamp on them, and send them off! Since Hunter and I got married on December 1st, I decided a few years ago to send New Years cards instead of Christmas cards. Not only does this give us ample time to take a quality picture (you know, because we waited all year to take one), but it takes the holiday cheer through the new year. I love that we send one of the final cards that people receive as an extra special piece of mail at the end of the year. I'm still debating on which design we'll ultimately choose, but check out some of the front runners below. 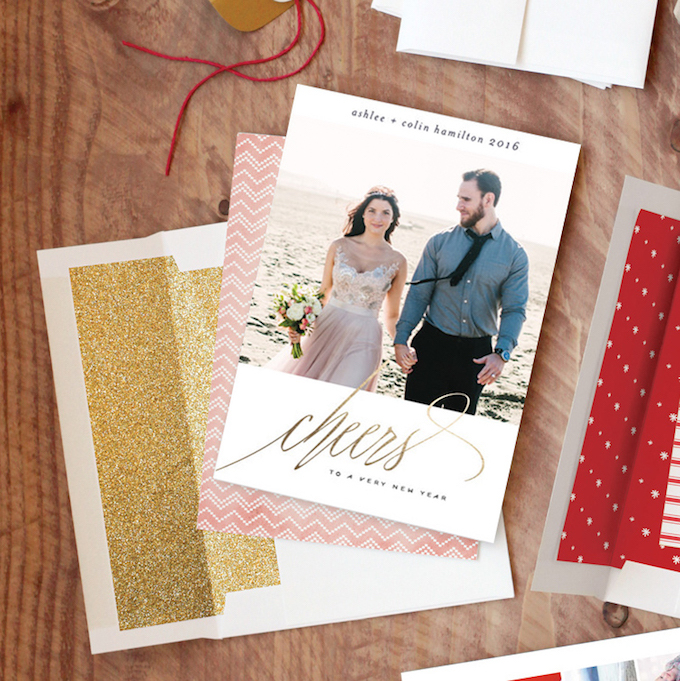 In the meantime, head over to Minted and start designing your own holiday cards! I'd love to hear which designs you're loving in the comments. This post was written in partnership with Minted. While I will receive a Minted credit for this post, I've used Minted for years, and it is truly a company I adore.